TOR is an Ayurvedic spa that offers spa days and packages. 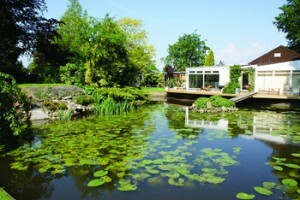 Located in the village of Ickham, five miles east of Canterbury, TOR is set within beautiful gardens, alongside a small lake. 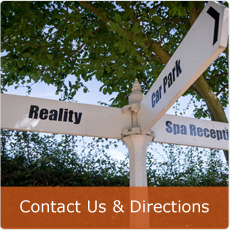 At TOR we offer a different experience to other spas in Kent or other areas of the UK. Help yourself to hot and cold drinks, including herbal teas, chai and Ayurvedic infusions. Browse our eclectic collection of books and magazines. Or just relax in our comfortable studio lounge, with deep, soft sofas and gentle background music. Lunch is also included with your spa day package. This is a two course set vegetarian menu and is home cooked on the day, using locally sourced or home grown vegetables. Have a swim, relax and gently exercise aching muscles in the 95°F water. Slowly unwind in the Finnish sauna or in our stone steam room. During the warmer months, sun yourself on the lakeside decking. When it is not so fair, you can enjoy the natural beauty outside from the warmth and comfort of the warm studio lounge or the lakeside conservatory. With only a maximum of 18 day spa guests for dedicated staff to please and professionally pamper, the atmosphere is personal, really friendly and unintimidating. If you don’t have time for our ayurvedic spa experience, we also offer our ayurvedic treatments without the spa day package. As it is an ayurvedic spa retreat we have an on site ayurvedic practitioner, giving you the opportunity to have an ayurvedic consultation to determine your dosha or advise you on any diet changes you may need to undertake. TOR also specialises in Panchakarma retreats. Spend anything from three days to a month under the guidance of our ayurvedic practitioners in the wonderful surrounds of the spa. A truly India in England experience. 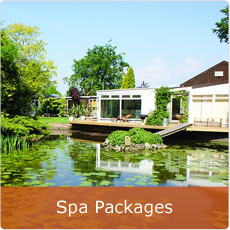 From the moment you arrive, you will recognise that TOR Spa Retreat is somewhere completely different. We are a simple place, in a perfect setting, somewhere quite unique. I’ve had an amazing time here. It’s one of the best birthday presents I’ve ever had. The atmosphere is amazing. Every single need is catered for. The full body massage was wonderful. Thank you very much. Felt very relaxed and comfortable, the informal atmosphere makes you feel at home. Oh the peace! So nice that the place is not over run by staff or customers, it doesn’t feel like a business. The best spa I’ve been to, ever. I loved it’s different approach on relaxation, peace and tranquillity. Don’t ever change! If you would like to make your spa day last a little longer, TOR has six en-suite rooms available.